I’ve admired Paine for many years. He stands as a Forgotten Founder in American history. 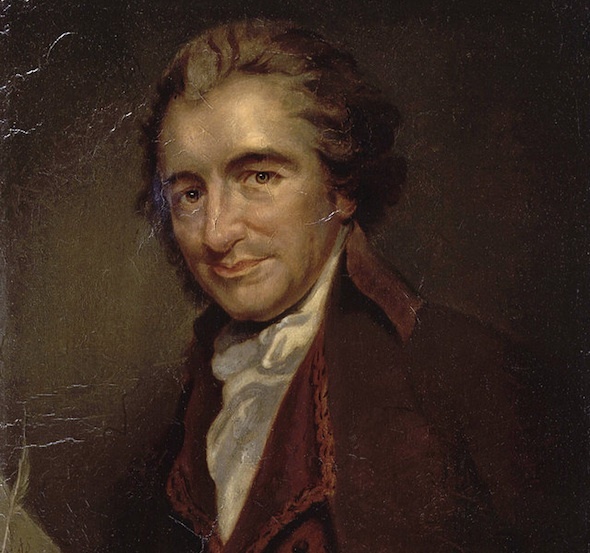 There’s hardly a more radical book to change Governments than “Common Sense” and hardly any more radical to change Religion than “The Age of Reason.” Bookends for Thomas Paine’s vision for Independence of Body and Independence of Mind. It wasn’t all about One Country, for Paine. To paraphrase cellist Pablo Casals, love of country is a good thing, but why should love stop at the border? Paine saw the need for change in America, and how that change could stir up radical movements around the world to benefit those who are poor and powerless. His words remain powerful for anyone of good conscience, faith or no faith.